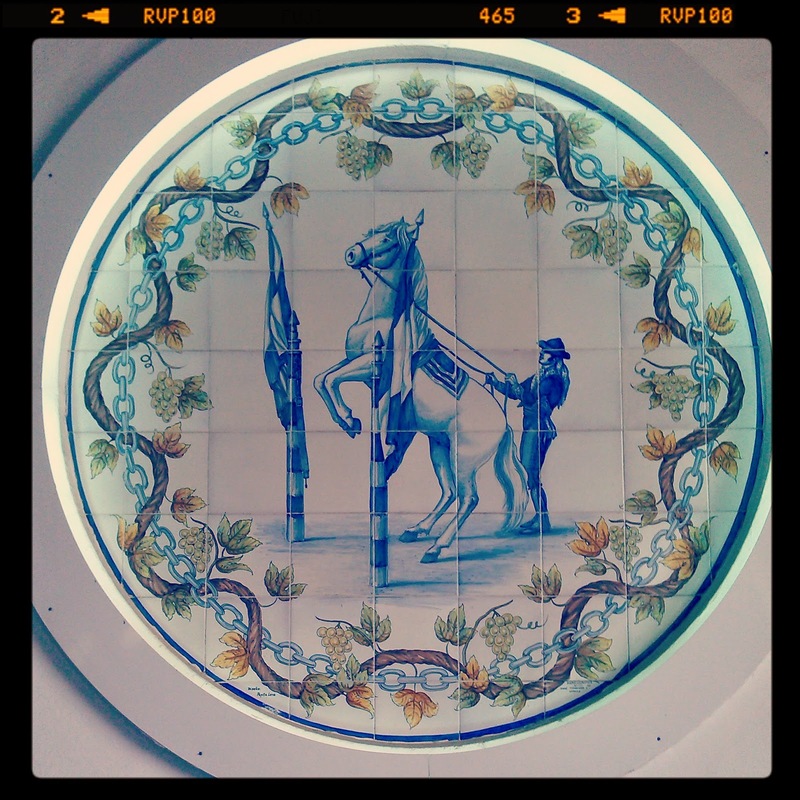 The town of Jerez is famous for three things: sherry, flamenco and horses. On one cloudy Sunday we set out to see all three for ourselves. As soon as we got off the train I had the overwhelming urge to get my camera out and start taking photos. Usually stations are soulless and colourless places however the Jerez Train Station itself is beautiful. It is decorated with a hint of the Moorish style and its walls are full of colourful tiles. As soon as we got into the centre we were surrounded with the colourful dresses of the many flamencas who ‘escorted’ us to the main square. This was the first time that I saw so many flamenco dresses in one place and I really liked them! If you have the chance, go and see the Jerez Flamenco Festival when the country’s best artists show off their skills. After a short walk through the center we headed over to see the town’s pride and joy, the horse show of the Royal Andalusian School of Equestrian Art. The show is held in a 19th century building called the Palacio de las Cadenas. It took my breath away to watch these magnificent stallions and their riders showing off their skills! These animals are of pure beauty and I couldn’t take my eyes off them throughout the hour long show. The commentator spoke in Spanish so we didn’t understand much but I caught that these horses are very intelligent and go through a rigorous training. Unfortunately we weren’t allowed to take photos or videos during the show but we took some shots of the stables, the buildings and the training grounds. Even though we don’t know much about horses the skills of the horses and their riders was obvious to both of us. If you’d like to see the show, you can book your tickets on the school’s website. 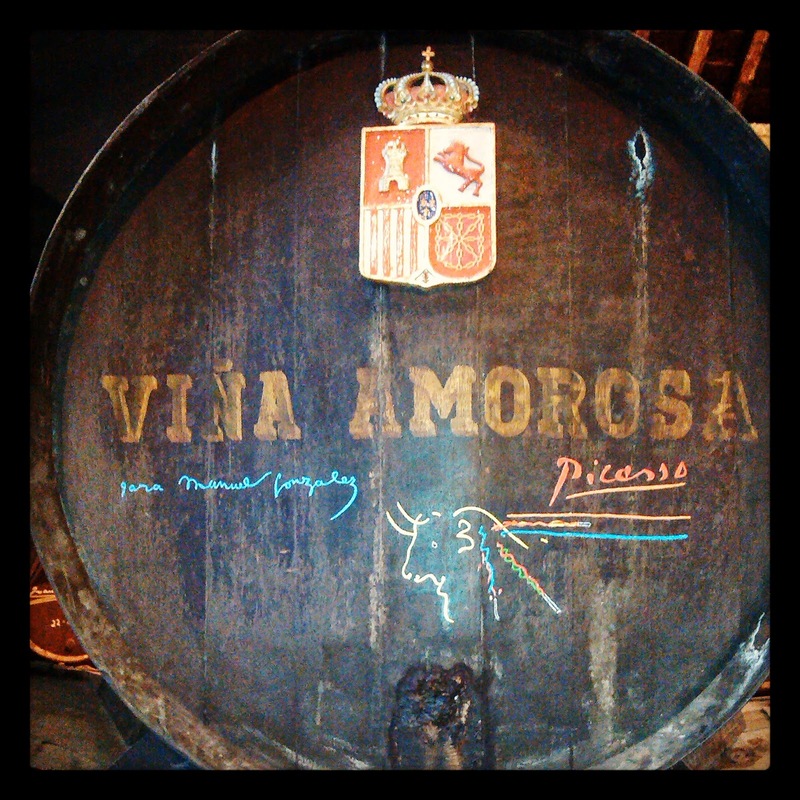 After the horses we were off to sample the best of what Jerez can offer to its visitors, its world famous sherry. 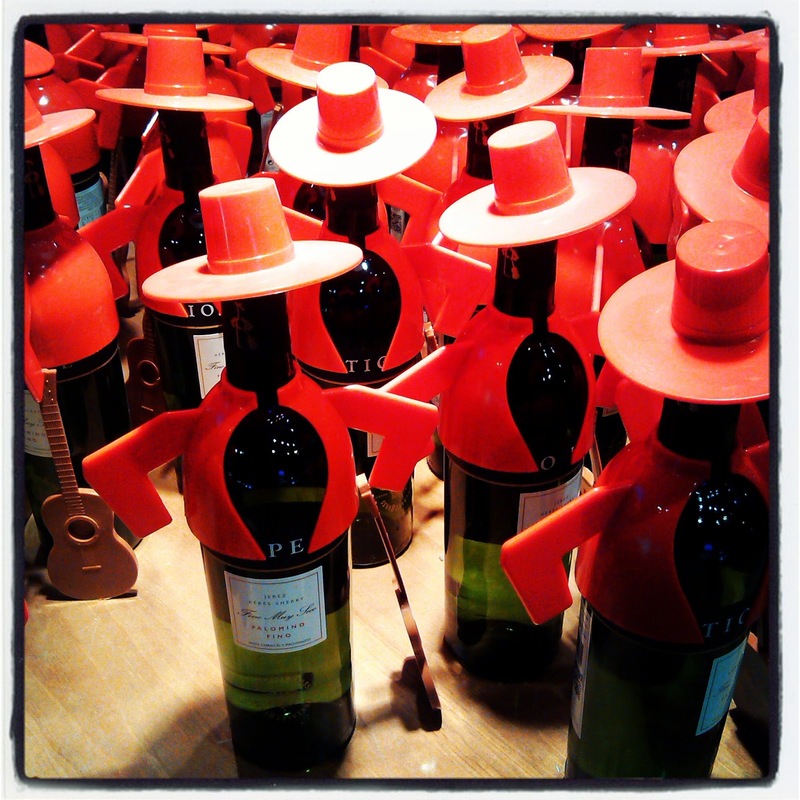 There are many bodegas where you can go but we chose one of the biggest names, the Bodegas de Tio Pepe. We quickly signed up for a tasting session for two (!!) then had a little nose around while waiting for the tour to begin. We were taken around the grounds by a little train and learnt everything about the history and the making of this drink. Finally, the tasting session! For some reason we chose to choose four different types of sherry. As I don’t really like drinking I found it too bitter. I could only drink one of the four glasses so it was all down to Paul to finish the remaining 7 glasses! If you’d like to sign up for a tasting session you can find more information about it on the Bodega’s website. I would suggest going in the summer as the grapevines that are grown to give shade are priceless. Of course in February they weren’t in their best shape. About 2 hours later we left the Bodega in a slightly intoxicated but nevertheless very merry manner and walked around the city a bit more. We had a look at the Cathedral. Some other nice parts of the city. Jerez is well-worth a visit if you are in Andalusia. The train journey is just over an hour from Seville, making it an excellent day trip. Try to time your stay for the Jerez Horse Show to be part of a truly Spanish fiesta.